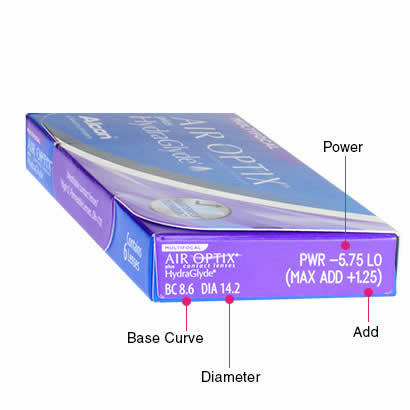 Created by Alcon & Ciba Vision, Air Optix Plus HydraGlyde Multifocal contact lenses combines various innovative technologies to provide presbyopic patients with exceptional visual clarity at all distances – both near and far. 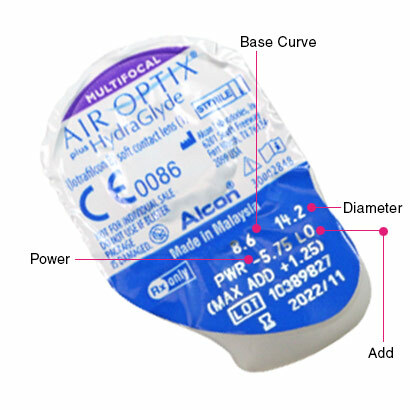 Air Optix Plus HydraGlyde Multifocal contacts combines Precision Profile Design with the HydraGlyde molecule, together, these ensure long lasting moisture on the lenses surface. SmartShield technology offers a high level of deposit resistance, protecting your eyes from makeup debris and general dust particles that circulate the air which can disturb your vision. These silicone hydrogel contact lenses allow up to six times more moisture into the eye, ensuring all day comfort, but also long-lasting comfort during the lenses entire 30 day wearing cycle. 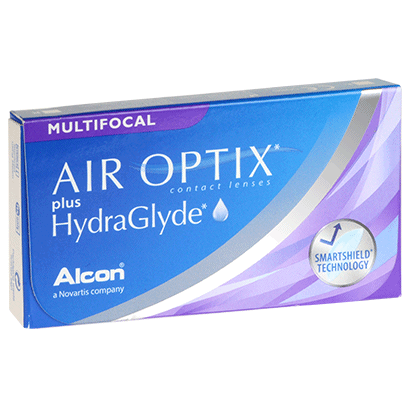 Air Optix Plus HydraGlyde Multifocal contact lenses are perfect for anyone who has a busy lifestyle, to hold up to the pressures of intense air conditioning and the demands of computer eye strain. When storing your monthly contact lenses, it is most convenient to use a multi-purpose solution such as the popular comfi All-in-One Solution. The highly moisturising, deeply cleansing formula will both disinfect and store these multifocal contact lenses. Store your lenses in our handy Feel Good Contacts contact lens case. These are comfy lenses and have worked for me so far, though I still need additional reading glasses for small print.